WOW! Welcome to Cameron Mansion! This COMPLETELY RENOVATED,TOP TWO FLOOR,2 bedroom,2 full bath,2 storey,with an BRIGHT,OPEN PLAN on the main features a STUNNING kitchen with QUARTZ and STAINLESS STEEL appliances,a well sized dining room and a living room that walks out to a SOUTH FACING balcony! (Oh, and did I mention a WOOD BURNING fireplace!) The main floor is completed with a bedroom and a full bath! UPSTAIRS features a LAUNDRY ROOM,A LOFT overlooking the living room (perfect for a home office!) MASTER BEDROOM with beautiful ENSUITE and a WALK-IN closet! All of this and condo fees are under $550,including everything but electricity. This UNIQUE building only has 11 units and 4 floors and great neighbors! 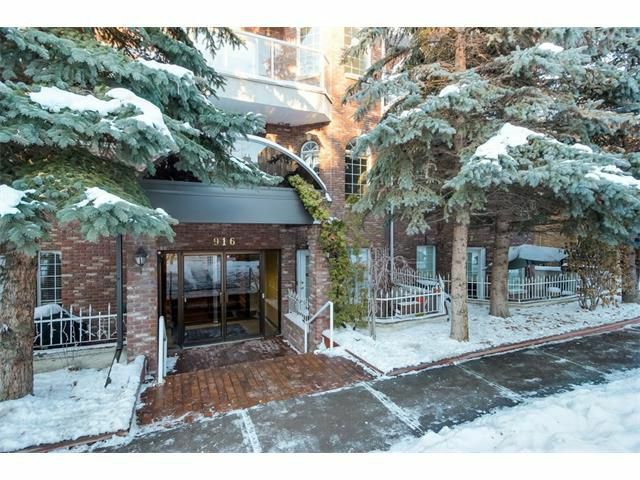 This unit comes with a large, heated, underground parking stall with enough room in front for large storage locker! Located on a quiet, treed street in Lower Mount Royal,steps away from the best Cafes, Shops and Restaurants in the city! !